While watching Barber Shop Chronicles at the National Theatre, she noticed how white the audience was and yet how many black people she knew the play would resonate with. She bought 30 tickets and put out a call on Twitter for young black men who might want to see the show. The response, she says, was amazing: “They all had really good seats so they were sitting on the stage and they got their hair cut and got to meet the cast afterwards. It just felt like a really important experience. 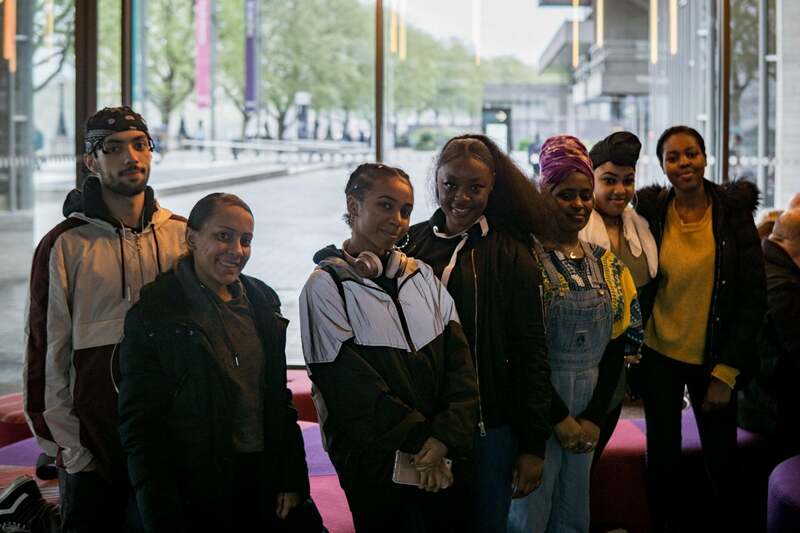 The one-off evening ended up growing into the Black Ticket Project, an initiative that provides young black people with free tickets to theatre shows. It has been a great couple of years for representation, Kyeremateng says, dropping in a few choice shows: Natasha Gordon’s Nine Night, Arinzé Kene’s Misty, Danai Gurira’s The Convert and Inua Ellams’s Barber Shop Chronicles. When she started going to the theatre, say says “there weren’t stories that I could relate to personally. The Black Ticket Project officially got underway when Nine Night came to the National. Sharing the success of the first outing, she brought the theatre on board in covering half of the 50 tickets and set up a crowdfunder to cover the other half. The money raised ended up being enough for 250 tickets. Since then, the Black Ticket Project has partnered with shows such as Misty, Poet in Da Corner, Dreamgirls, Sylvia, The Convert and Caroline, or Change, as well as theatres across London. “It’s important for me to stress that it doesn’t have to be positive,” she says. It’s just as valuable to give “space for them to hate the work and for them to say that they had a horrible time and not enjoy it and to be able to articulate why. At the moment, Kyeremateng wants to expand to theatres outside London as well, but the ultimate goal is that the project doesn’t exist at all. “If it went on forever it means that as a sector we have failed our audiences. This year, the Black Ticket Project is partnering with shows including Berberian Sound Studio and Sweat at the Donmar Warehouse, Motown, and the Bunker Theatre’s whole current season, with more to be announced.